This one-to-one 2 hour sewing lesson in Brighton is a fantastic way to progress fast and really improve your dressmaking skills. Enjoy a private sewing masterclass in a top sewing school and see noticeable improvements in your skills and techniques by the end of the session. 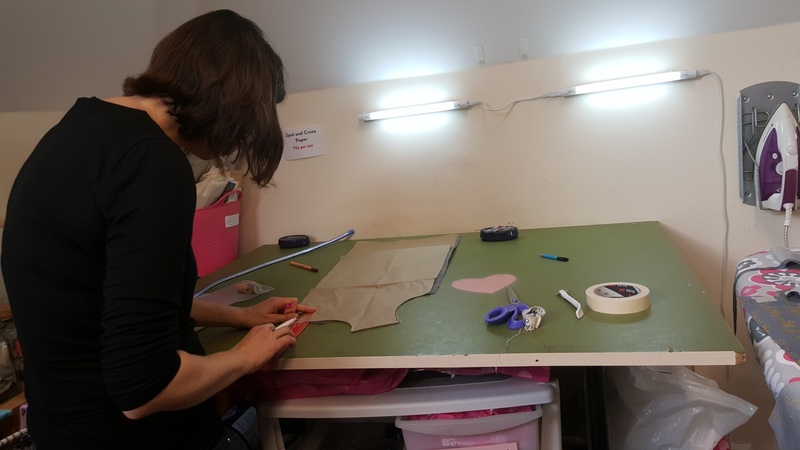 There are lots of benefits of one-to-one lessons with experienced teachers including working at a pace you're happy with, learning specific skills such as overlocking, pattern-cutting and working with different types of fabric and sewing styles. You can contact the instructor before your lesson to discuss what you want to achieve in your session and your current level of ability, and they will be able to create a class specifically for you. Whether you are a complete beginner, already know how to sew but want to get the most from your machine, or are a competent seamstress/tailor wanting to learn some specialist skills, you will receive a host of top tips and advice in your class. Create something beautiful to take away with you and leave armed with confidence and enthusiasm to try out your new skills to really give your projects that extra finesse and style! The private Brighton sewing workshop is available throughout the year, most weekdays (including after work hours). This is a 2 hour private class. Participants: The Private 2hr Sewing Lesson In Brighton is for 1 participant. The sewing class is not suitable for spectators. Wear whatever you like! All equipment will be provided, however you are welcome to bring along some particular fabric you like, or your sewing machine if you have one. This is not a weather dependant activity. Last week we got to meet Kat, the owner and founder of Sew In Brighton. We were particularly excited about this visit as it was just down the road from us, and neither of us had ever been to a sewing class before! We got the train to Hove station and made the short walk over to the sewing workshop building. We were greeted by Kat and introduced to the people taking part in the workshop. 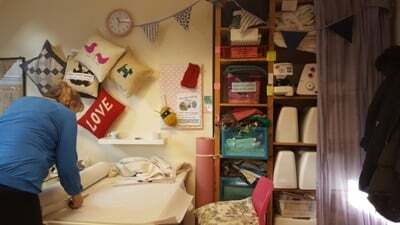 Launched in 2008, Sew In Brighton is a small boutique workshop, run by sewing experts in the heart of Brighton. Many of the people taking part in the workshop have weekly classes or one-to-one classes, working on projects from dresses to pillows to skirts and more! Sewing is an intricate activity but is highly rewarding once it’s mastered. In this sew class there were people with different levels of skills, from beginner to advanced. With various patterns and materials to choose from, students can bring in their own materials to use and have free use of the ironing boards, pins and sewing machines in the class. 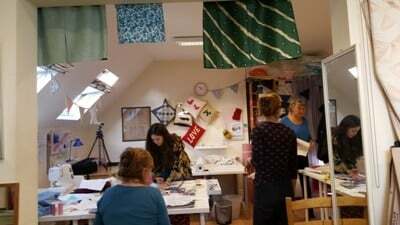 The room that the class took place in was cosy and creative, with garments and projects displayed, including different bits of material and sewing books. 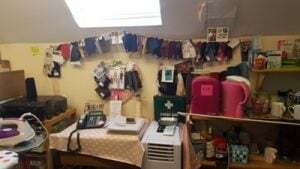 It was clear that this is an excellent and creative environment to work in, and taking up sewing classes with Kat is a great way to get your sewing career started! The classes involve taking in projects that you are already working on or starting new projects in class i.e. making a cushion or skirt. You can go off and keep working on your projects at home or in class – it’s entirely up to you! When the class had ended we got a chance to meet Kat properly and ask her a few questions about herself and how the company was founded (see Expert Interview blog). It was clear that she is the best woman for it with over 33 years of experience in fashion design, pattern making and managing fashion retail stores. On our trip to Sew In Brighton, we managed to get a few minutes with Kat, the owner and founder of the business! She told us all about how it all started and where her passion for sewing came from. 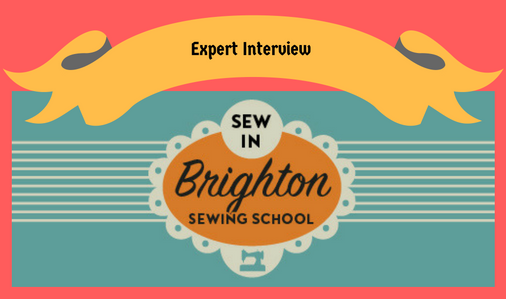 Q: How did Sew in Brighton begin? A: It began because I got RSI doing an office job, I am a fashion designer by trade, but when I moved to Brighton I was doing an office job. I was thinking maybe I should teach something and thought I could put my fashion designer past to good use – I know how to sew and do pattern cutting. So, I decided to do that and starting some classes in my living room. I then hired a venue to do a pattern cutting course and it took off from there. I got this place as somewhere to work, and my website took off. I decided to put on classes and they gained popularity and just started getting fuller and fuller so it turned into a full-time job! Q: Where did your passion for sewing come from? A: When I was little I was always drawing people in clothes and cats in clothes and drew lots of outfits. I was really into art, and I used to make some of my own clothes, jewellery and toys. My sister and I used to have stalls at local fares where we would sell our creations. I went to fashion school when I was 16, and it all started from there! I did four years of fashion and then I was making more clothes and my sister and I would make these incredible outfits for our nights out when we went clubbing. When I finally finished studying I set up a fashion label and my outfits ended up in my shop! So it was all very continual from a young age, it all kind of merges through until now. I had a fashion label for ten years called Wit & Wisdom which had lots of corsets, with sequins and little jeans, tiny skirts and fur collared waist coats. But I’d call it ‘well-made party wear’ – all very well made and good quality clothes. Q: What’s your favourite thing about running these kinds of courses? A: I really like the challenge of fitting, getting things to fit people that have figures that the clothes you buy in the shops don’t fit. I like the general run of the business, I’m quite resourceful by nature and solution focused. So running a business means that you have to constantly find solutions to everything and find a better way of doing things all the time and I weirdly quite like admin as well. I really enjoy working for myself and it’s just so different to working for someone else. Q: Do you make a lot of your own clothes? A: I make all my own jeans, and that’s about it because I’m so busy. I do a lot of my own alterations. The plan is to do more sewing – always! But work gets in the way, especially because I’m doing it all day. Q: Do you have any plans for the future? A: Not in particular, more or less to keep the business how it is really. I am happy with the size and scale and business of it all at the minute. Perhaps some more people in certain classes and maybe get some more time to do one on one fittings for people. My main goal is just to be happy! Q: What’s your favourite piece that someone has made in one of your classes? A: My favourite piece would probably a vintage 50s style dress someone made, with fitted petticoats underneath and nice prints, big petticoats and clean cuts. We would like to say a massive thank you to Kat for taking the time to speak to us and telling us all about Sew In Brighton. 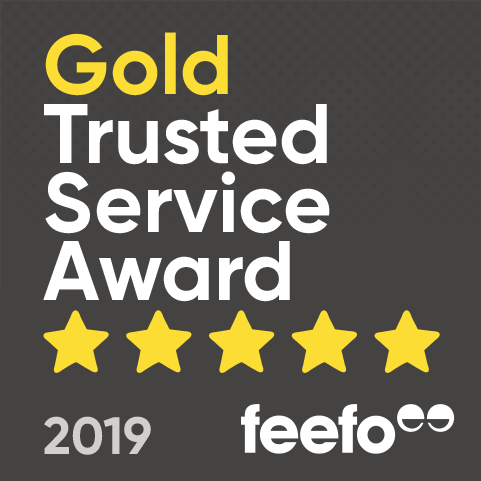 We thoroughly enjoyed our experience and would love to go back again! If you would like to have a go in one of Kat’s sewing classes, click here.